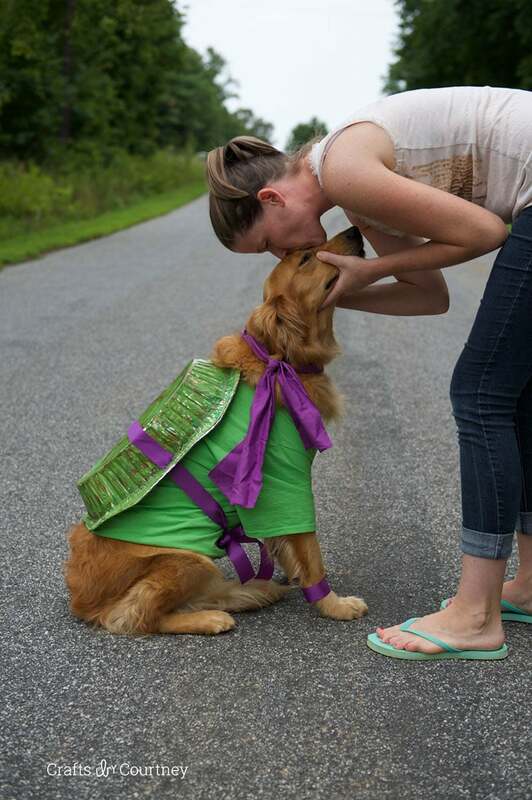 I have another easy dog costume I wanted to share with you today! I just posted the other day a dog Halloween costume I did for All Your Magazine, Easy Loofah Costume. 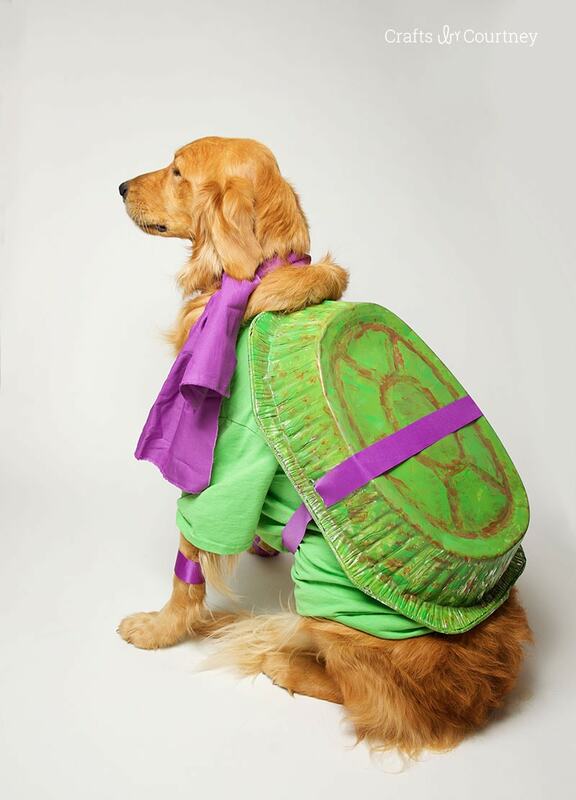 When they originally contacted me they wanted to use my Teenage Mutant Ninja Turtle Costume I did for Betty Crocker. But that didn’t work out, so they asked me to create a dog costume. 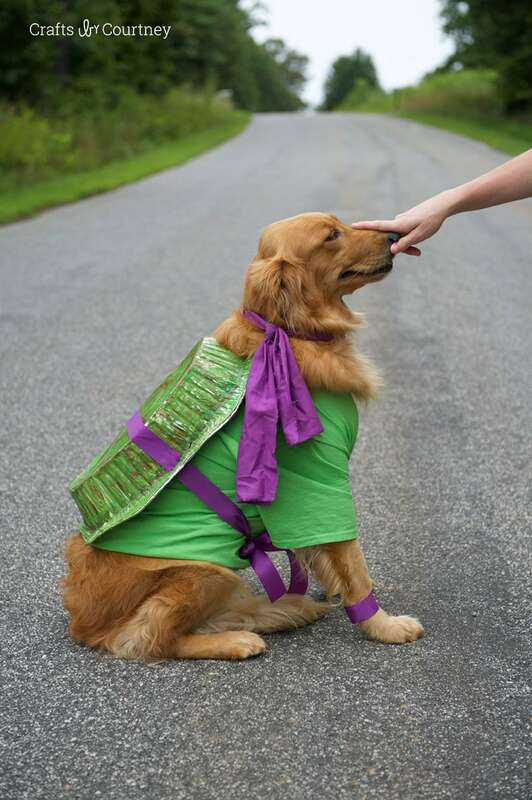 I presented them with the loofah costume and I recreated the TMNT costume I did for Betty Crocker, but I made it for a dog this time!! I created fun Ninja Turtle costumes for my three boys. 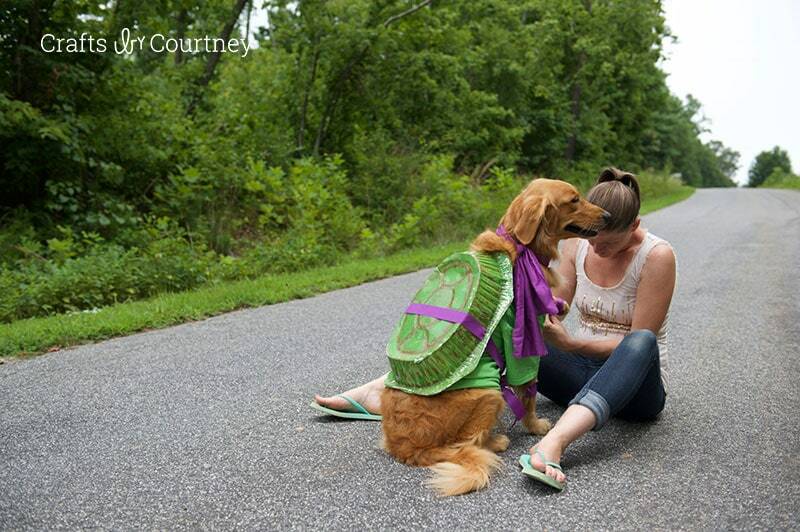 We were one turtle short, so I thought making my dog the 4th was a perfect idea! The costume fit her perfectly and the boys just loved the idea of matching costumes. Step 1 – See full tutorial here for the turtle shell. Step 2 – Next, get your shirt and add your turtle shell (by sewing into place around the neck and at the bottom of the shell). Now, tie your ribbon around the waist. Step 3 – I couldn’t find a matching bandanna, so I had some fabric cut. Instead of using a mask, I just tied it around her neck. Step 4 – Finish off the look with some matching cuffs using ribbon and Velcro adhesive. Voila, all done! Sadie did such a great job that day, while I was getting her ready! She’s a model! I didn’t get any step by step pictures for this post either, but if you head over to Betty Crocker you will see the full tutorial for the shell. Now all my kids can have matching Halloween costumes this year. 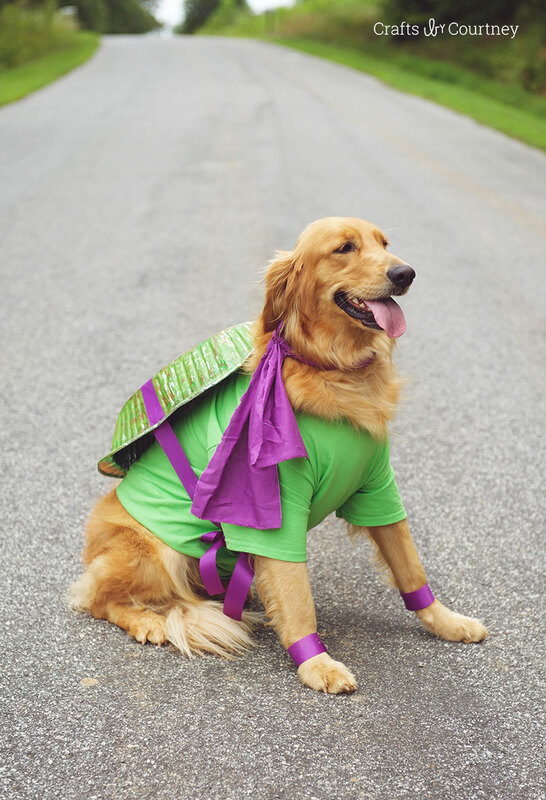 Plus this really is a super easy dog costume you can make yourself.